1. How to decide my paper’s publication type? 2. Which version of the article can I self-archive? 3. In which template in Haris can I register conference information? 4. How can I register my outgoing and incoming visits/faculty mobility in Haris? 5. How to delete or copy a record in Haris? 6. How is my publication’s registration approved? 7. Can I register datasets in Haris? The Ministry’s publication types are relied on and the library makes the ultimate choice of the publication type. Read Publication data collection instructions for researchers 2018 (Julkaisutiedonkeruun ohjeistus tutkijoille 2018) by the Ministry. Hanken’s reporting to the accreditation organisations, the internal allocation of funding and the reward system for scientific publications build upon the Ministry’s regulations and classification for publication reporting. See detailed instruction about Which version of the article you can self-archive in Hanken’s LibGuides on open access. Note that it is particularly important to indicate the ISBN(s) of the conference proceedings. To report a conference paper to the Ministry, we need to have the information that the full text (not only the abstract or extended abstract) of your conference paper is publically available AND the conference proceedings have ISBN/ISSN. International visits to and from Hanken (faculty mobility) are reported to the Ministry only on the basis of the information contained in Haris. Conferences are not considered to be faculty mobility. In the rector’s decision about the internal allocation of funding (link), you can read how the activities are graded. Please see detailed instruction about how to register outgoing and incoming visits/faculty mobility? in Register activities. At the bottom right-hand side of your record, you can find a red cross which enables you delete a record. This works in the way for research output and activity records. Use this with care, because there is no undeleting or recovery facility in Haris. The two-blank-document icon enables you to copy a record if you wish to create a similar record, and only change some of the details before saving as a new record. When registering a publication record into Haris, you have the choice of saving it under “For approval” or “Entry in Progress.” They are your article’s statuses in Haris shown at the bottom bar of the template in dark grey next to the blue Save button. “Entry in progress” means that the content has been created and saved, and ought to be re-edited further by you. The entry stays with you and does not go to the library for validation. When the library has checked that your entry is added correctly, your article's status in Haris will be marked as "Approved". This validation step is the final one before your entry is released to the public domain. 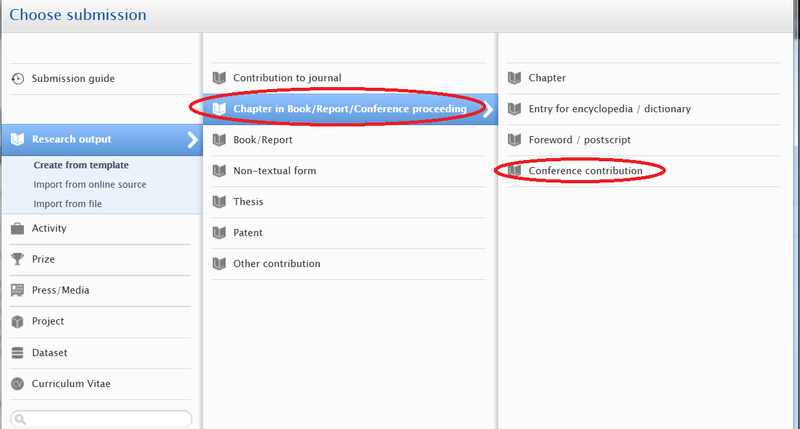 After an entry has been approved, it can still be edited by the author if s/he needs to make any changes. 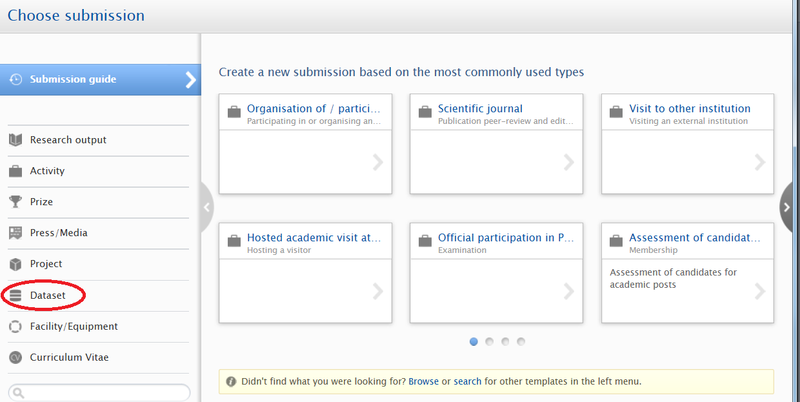 You can find the entry in the list of your Research output in Haris. Click on its title and then you can make changes in the pop-up template. The article will then be marked as “For re-validation” and go back through the workflow process again. The article’s metadata (title, authors, date, journal name, volume and pages) will be visible, but other elements will not be released until the article has been re-validated. You can register both standalone datasets and datasets that are connected to a publication. If a publication has a relating dataset, our recommendation is to create two separate records in Haris – one for the publication and one for the dataset. The records can then be connected under the heading Relations to other content in the template. Availability to the data is made by adding a link or a DOI to the file location. It is not possible to upload files in the record for datasets. Questions about reporting datasets? Please e-mail haris@hanken.fi.